The Essay Contest is now closed to new entries. 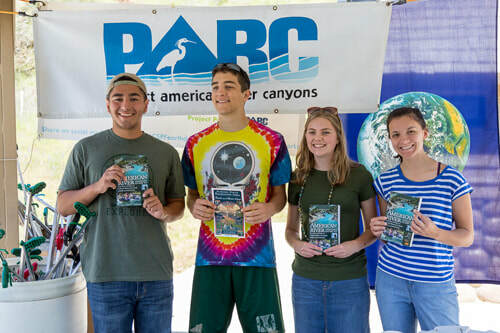 Contest winners will read their winning essays during the Earth Day American River Cleanup & Restoration event, Saturday, April 13, 2019 at 11:30 am at the American River Confluence, 3 miles below Auburn. See more about the Cleanup & Restoration Event here. What is my connection to the American River and Canyons, and what would I change to create a better experience for visitors to the Auburn State Recreation Area? Pictured above are four of the five winners of the annual PARC 2018 Scholarship Essay Contest for local High School Seniors. All five winners received $500 scholarship awards. 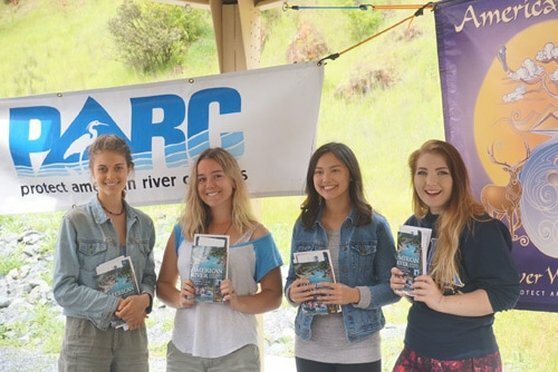 The four pictured were able to attend a ceremony held at the Confluence of the North and Middle Forks of the American River in April, 2018. Students entered the Essay Contest by submitting an original essay of 500 words or less describing their response to the question quoted above about the North and Middle Fork American River canyons located upstream of Folsom Reservoir, in the Auburn State Recreation Area. Read the 2018 winning essays below! Click on the student's name to open their essay. What is my connection to the American River and Canyons, and what is my vision for improving recreational opportunities in the Auburn State Recreation Area? Read the 2017 winning essays below! Click on the student's name to open their essay. Pictured above are the winners of the PARC 2016 Essay Contest Scholarship for local High School Seniors. 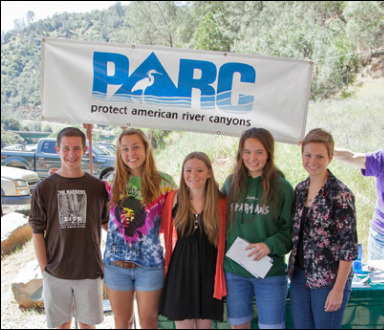 All five received $500 scholarship awards at a ceremony held at the Confluence of the North and Middle Forks of the American River. for improving the Auburn State Recreation Area? Read the 2016 winning essays below! Click on the student's name to open their essay. The winners of the PARC 2015 Essay Contest Scholarship for local High School Seniors have been selected. 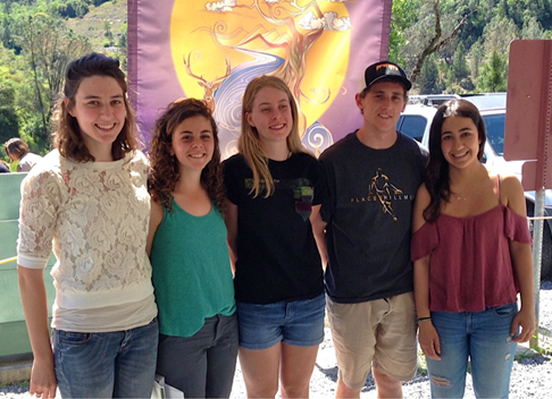 All five received $500 scholarship awards at a ceremony held at the Confluence of the North and Middle Forks of the American River. Why do I care about the American River, and what is my vision for the protection of the river and its canyons for future generations? 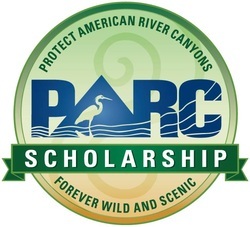 In their essays, the students described the natural beauty, and shared their personal connection to the American River Canyons. They explained the importance of the Canyons to them and to our local community, and offered their ideas on how to protect the canyons for future generations to enjoy. Read the 2015 winning essays by clicking the ﻿links below﻿.